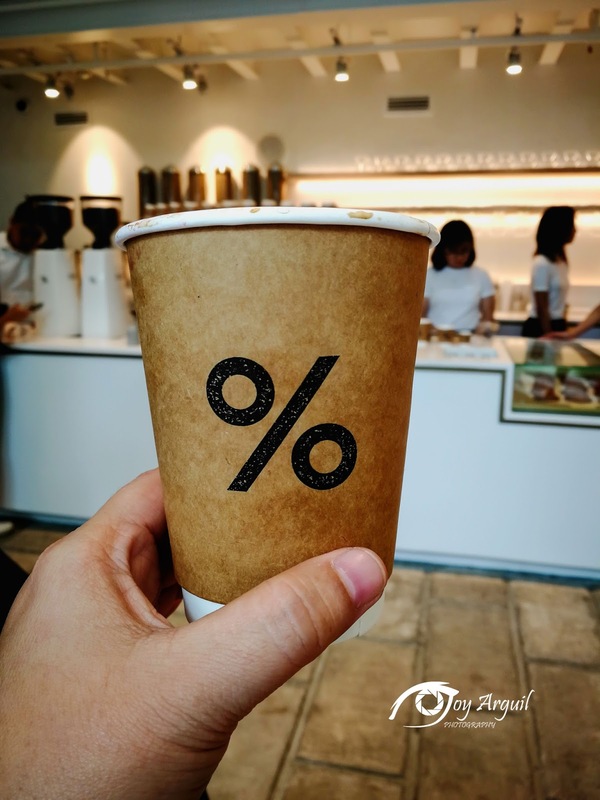 Coffee lovers in the country can now enjoy the most sought after coffee in Kyoto or probably in the whole of Japan. 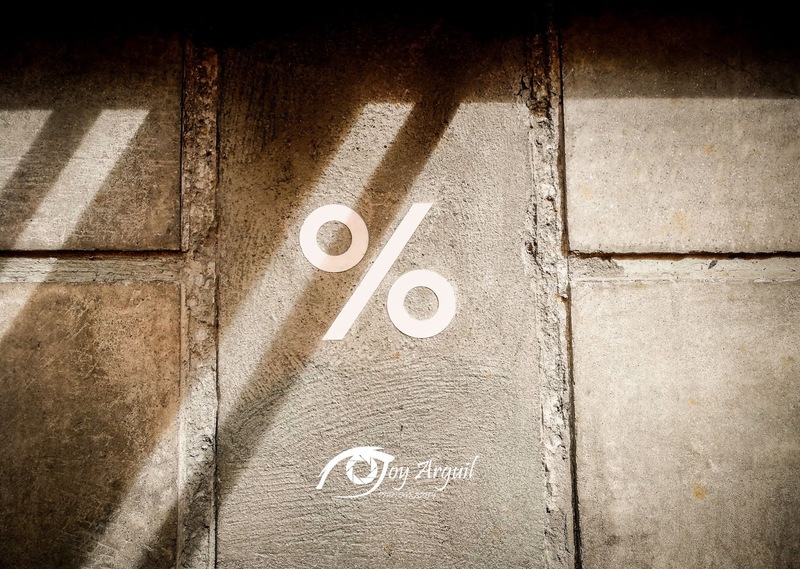 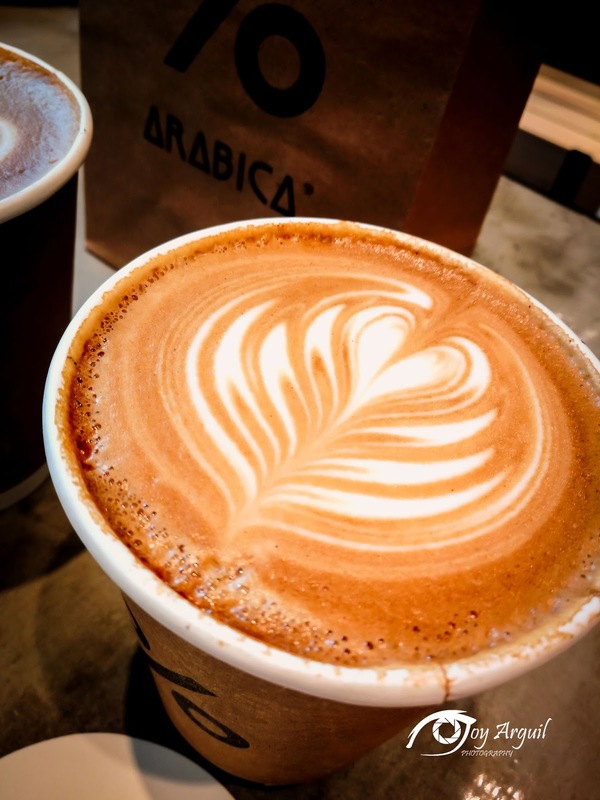 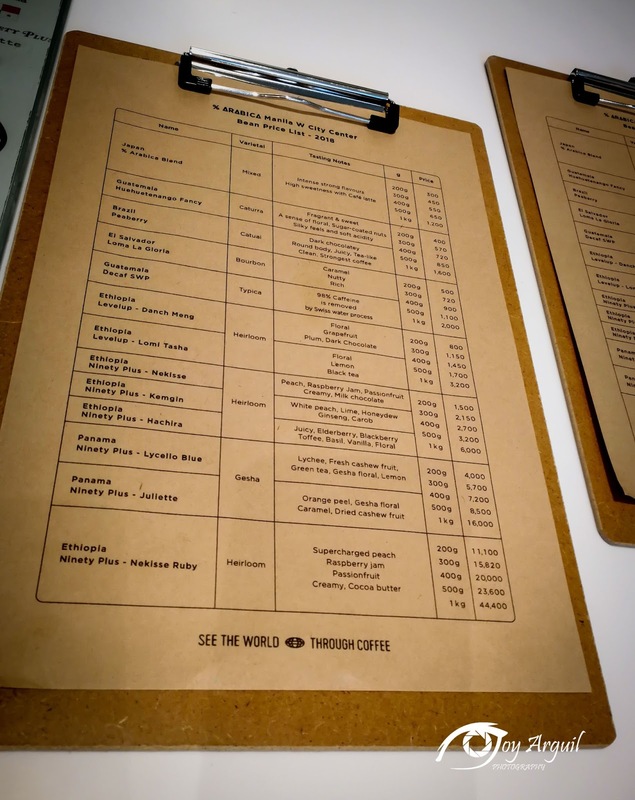 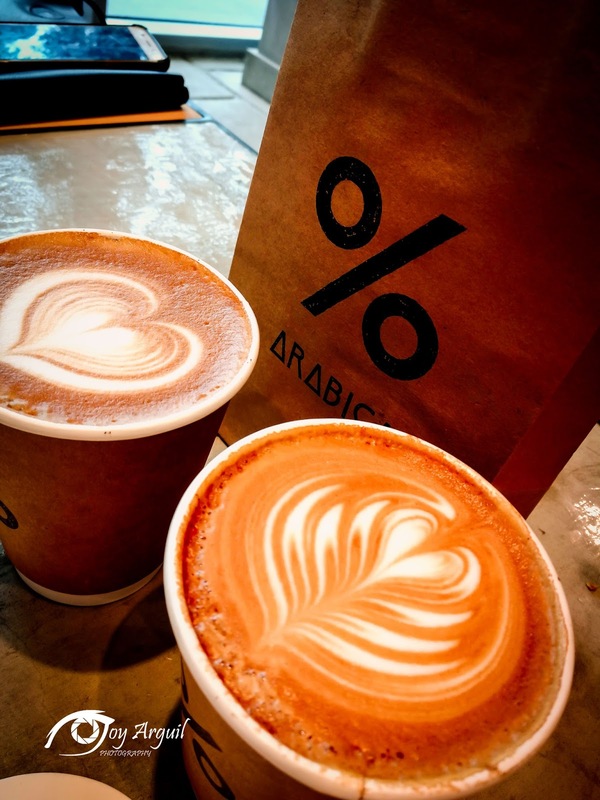 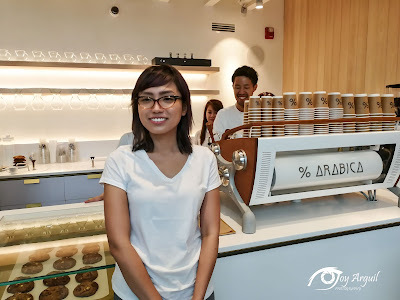 % ARABICA is finally serving their signature lines of coffee in the heart of Taguig City. 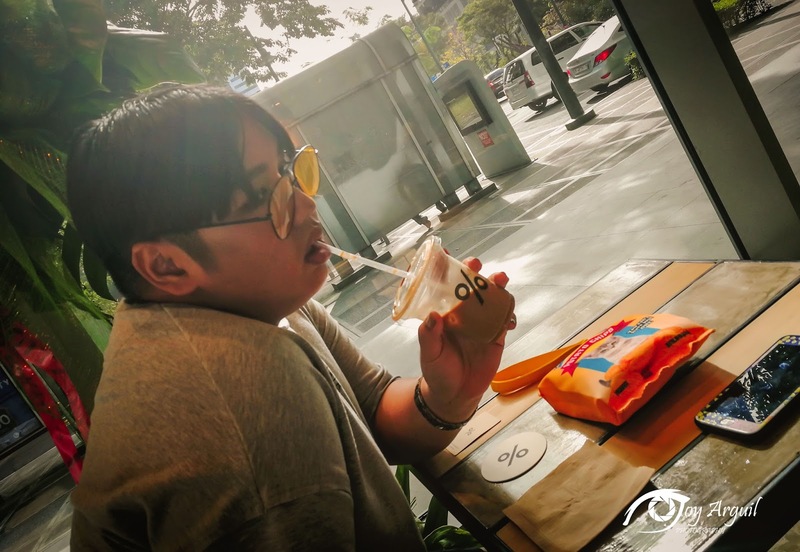 My son Hans Christian , enjoying his Iced Coffee with the beautiful ambiance. 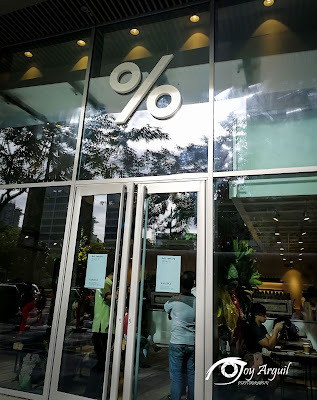 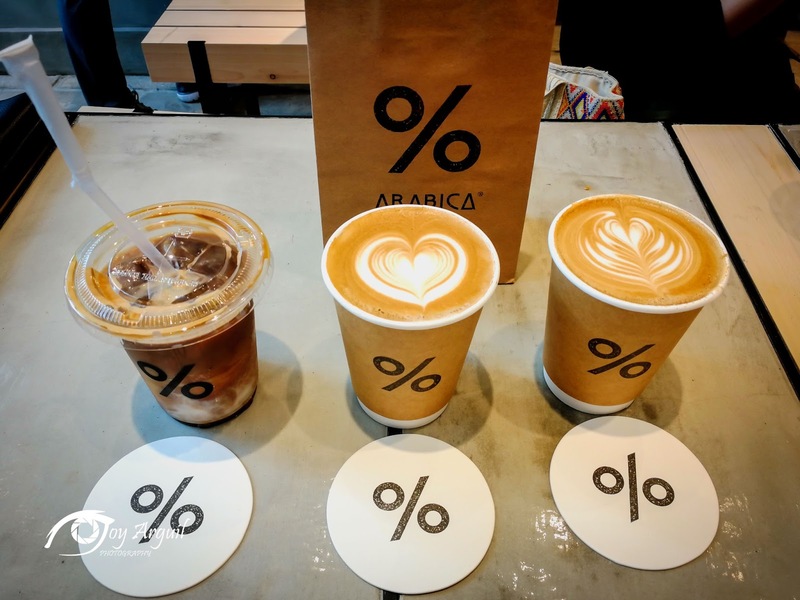 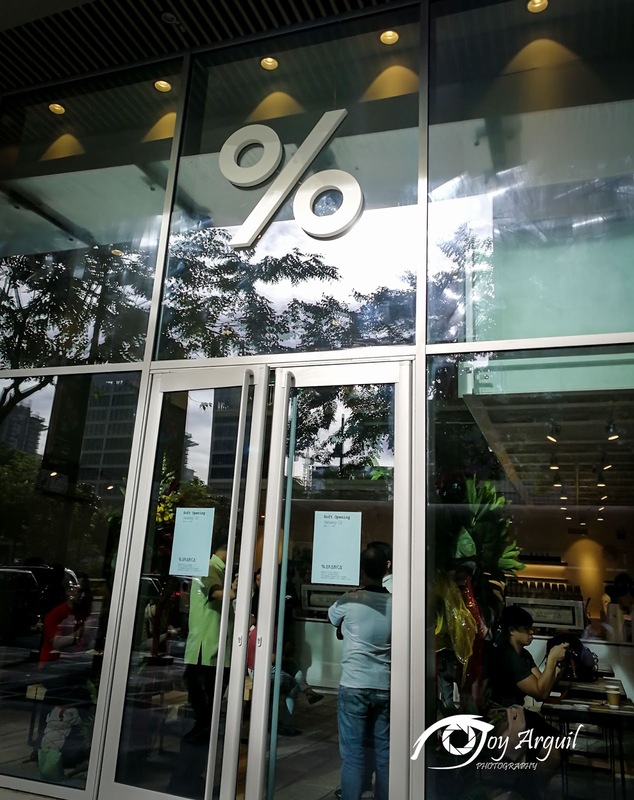 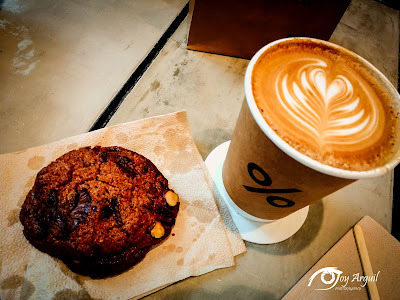 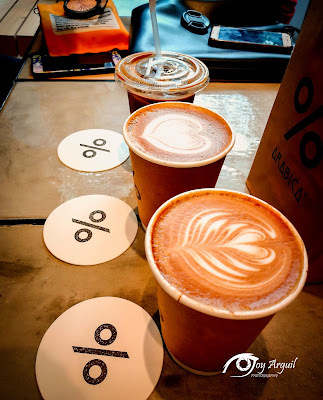 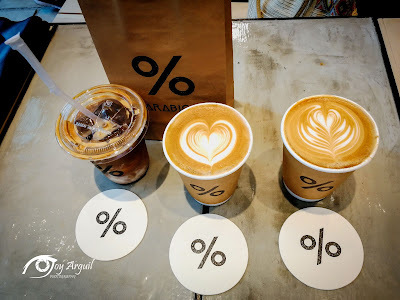 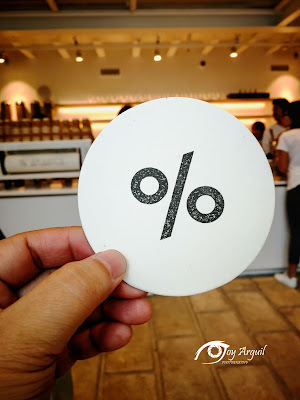 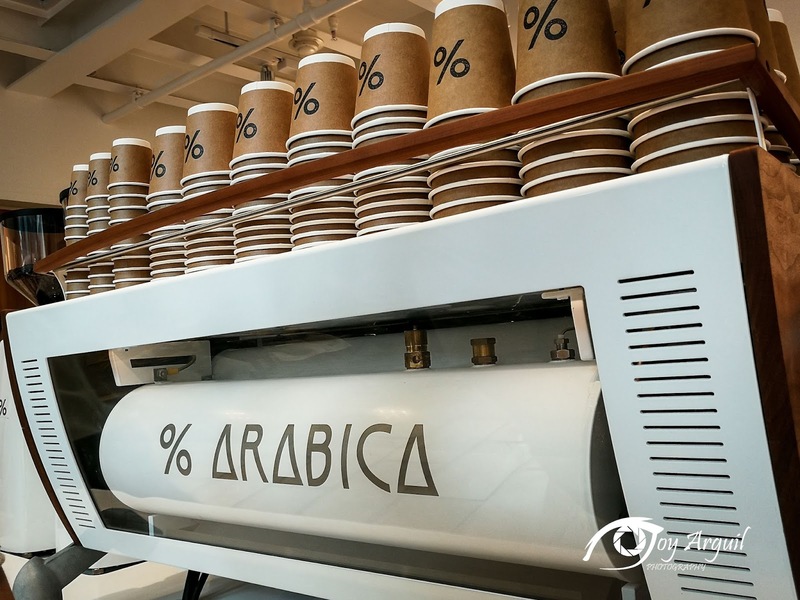 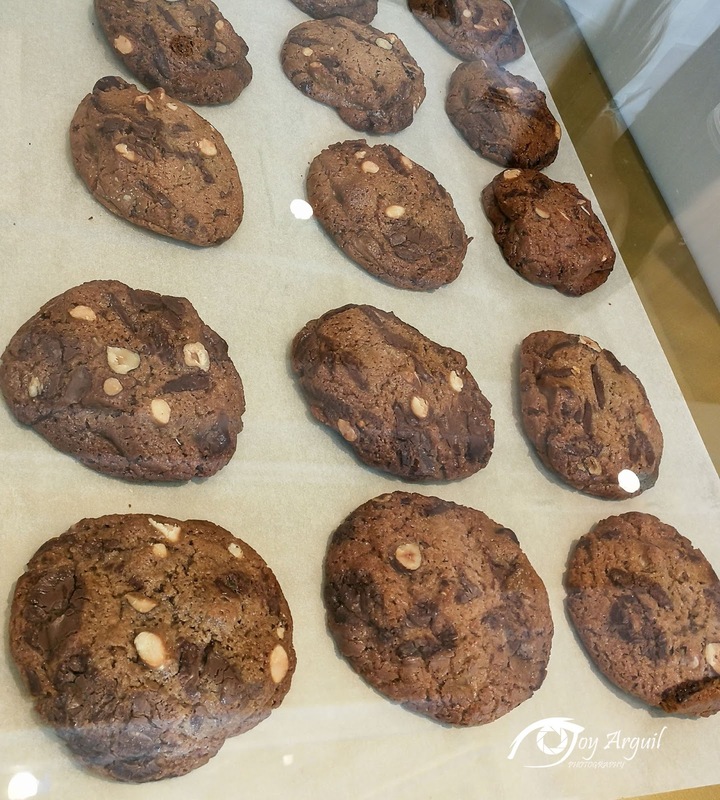 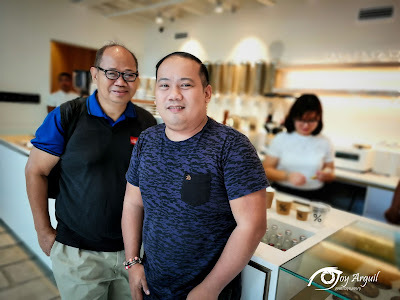 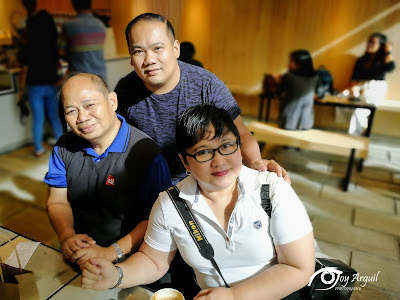 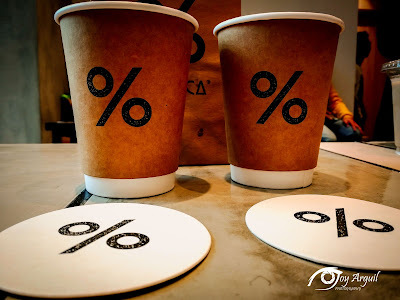 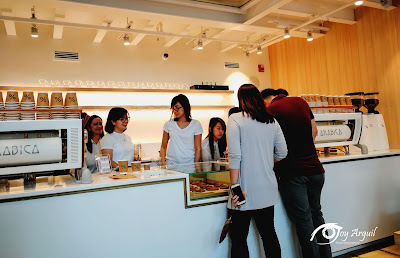 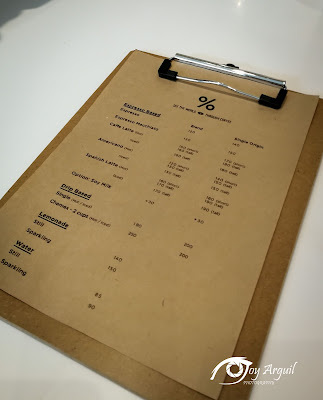 Hailed by coffee critics as one of the best tasting coffee in the world, % ARABICA had its soft opening last January 12 at their maiden branch at the ground floor of Manila W Center, 30th corner 7th Avenue, BGC. 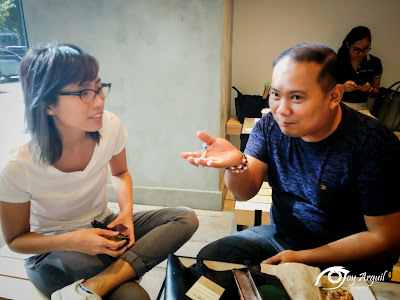 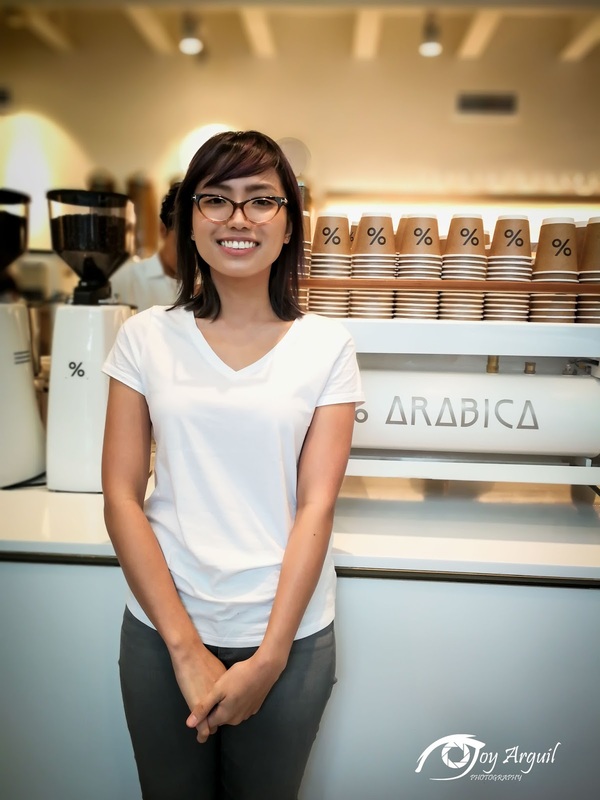 Owner Allue Krisanne A. Hortaleza conceptualized the idea of bringing % ARABICA here in the Philippines 3 years ago. 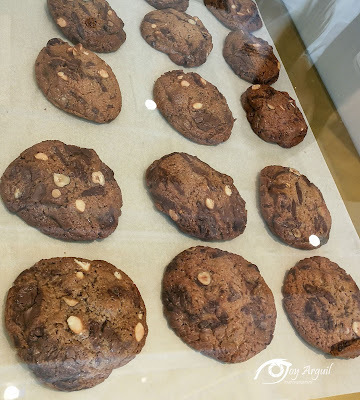 “My mom and I are coffee addicts and by just the looks and smell of the coffee beans we knew if it is of high quality”, started Allue during a brief conversation at the opening of the store. 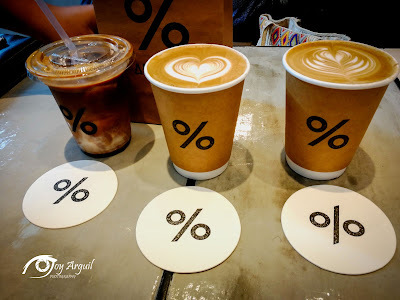 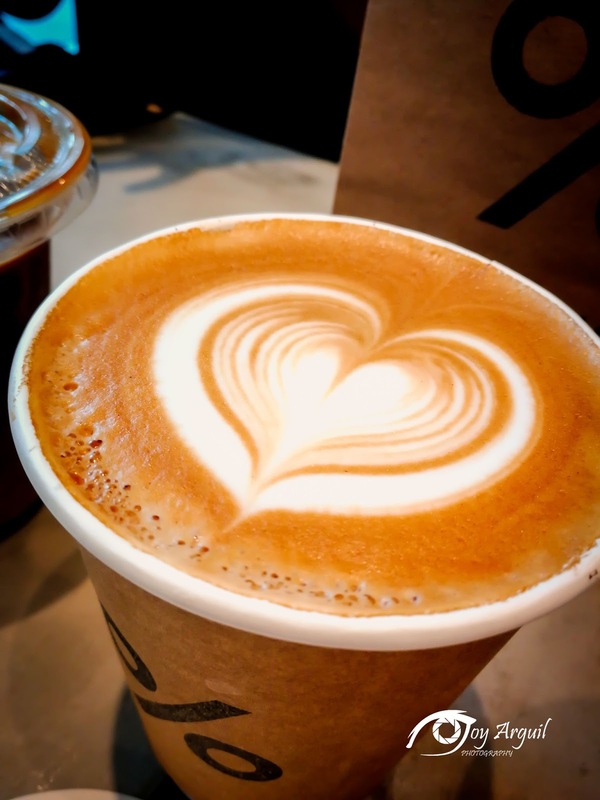 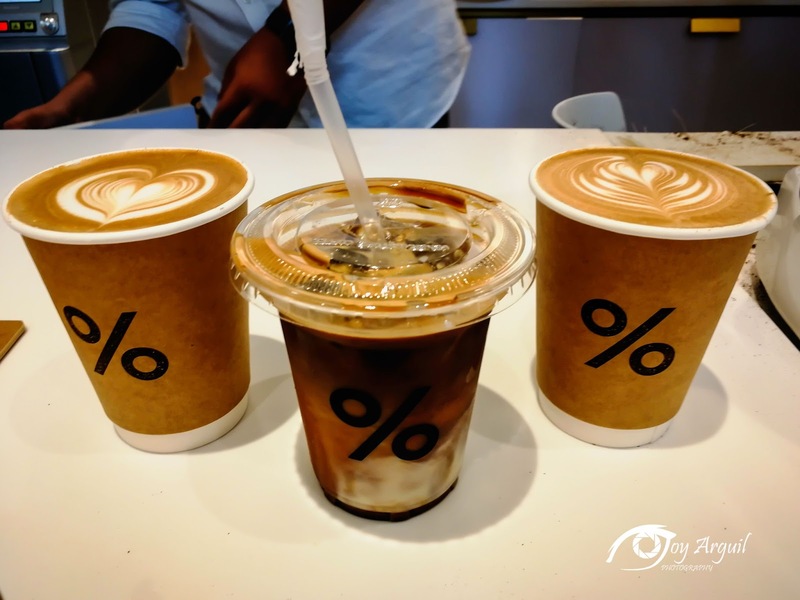 Aside from their best seller, the store also has a variety of choices for coffee drinkers, from Espresso based, Caffe Latte, Americano to Spanish Latte. 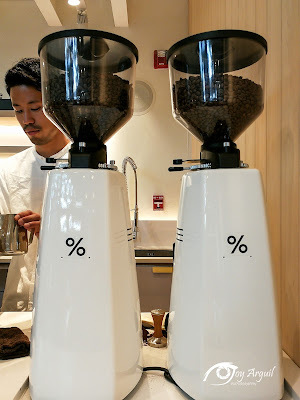 Like in Kyoto, the store also have a slayer machine to make a perfect coffee for all of their customers at very reasonable prices. 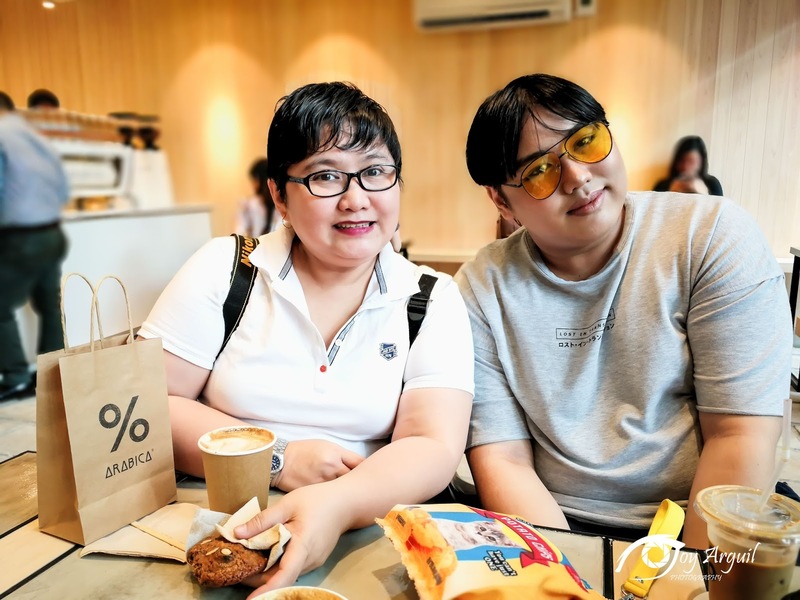 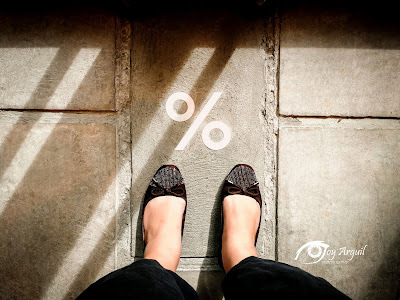 “Most of our clients usually have their cups of coffee take out but they can also enjoy it here in our store while reading or surfing the net”, adds Allue. 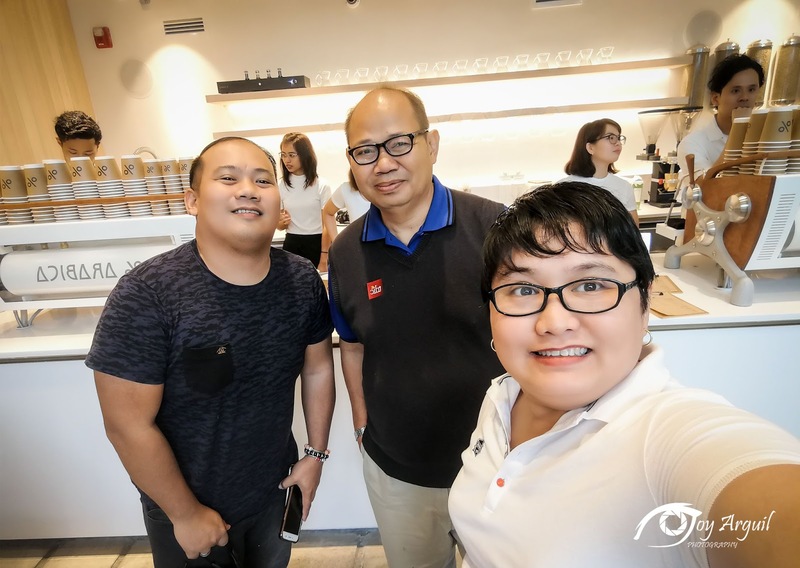 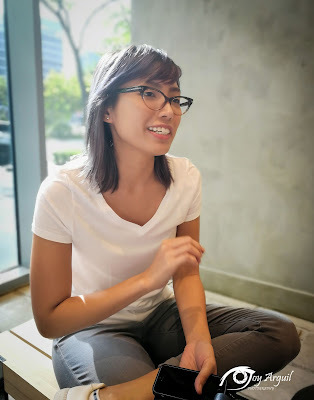 Allue , the woman behind the See The World Through Coffee Corporation is actually came from the family who owns the Hortaleza chain of store and Splash Corporation . 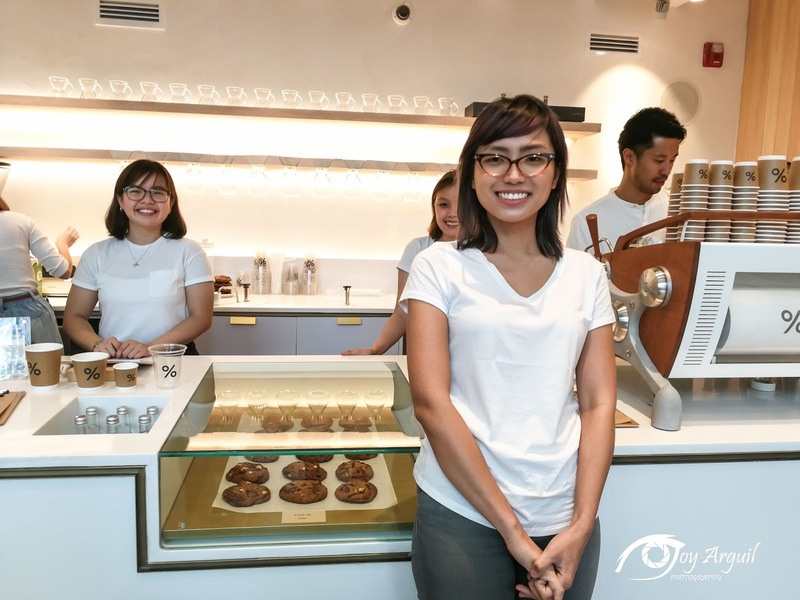 The 32 year old entrepreneur decided to have her own business and eventually to branch-out in other locations. 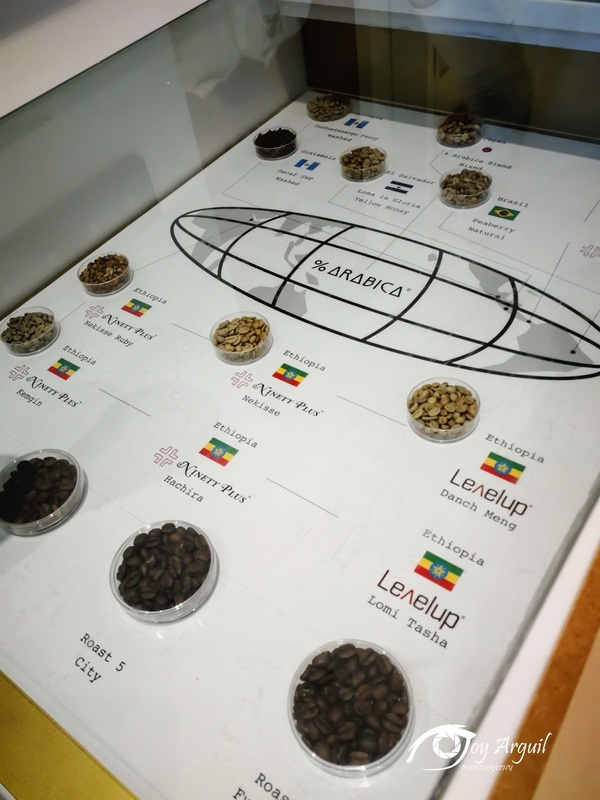 Their coffee beans are all imported from Japan, Guatemala, Brazil, El Salvador, Ethiopia, Panama where the best and high class variety are being produced. 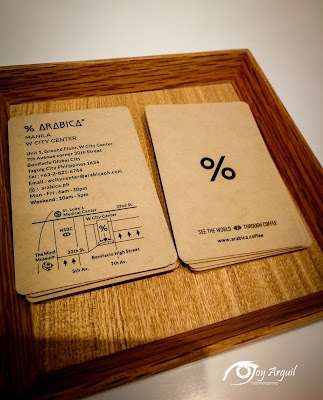 So if you love a good coffee and you’re happen to be in BGC, try to drop by at % ARABICA. 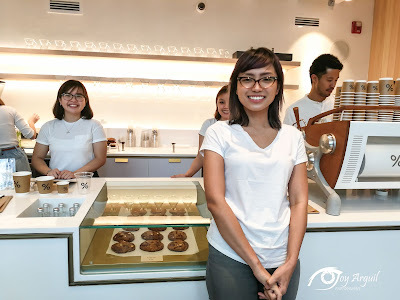 Aside from the great coffee and nice ambience, the baristas and the rest of the staff are friendly. 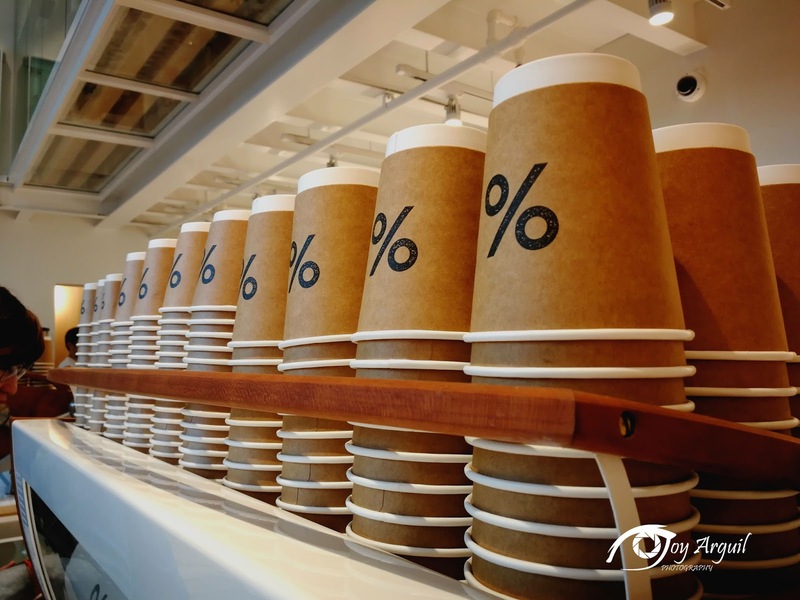 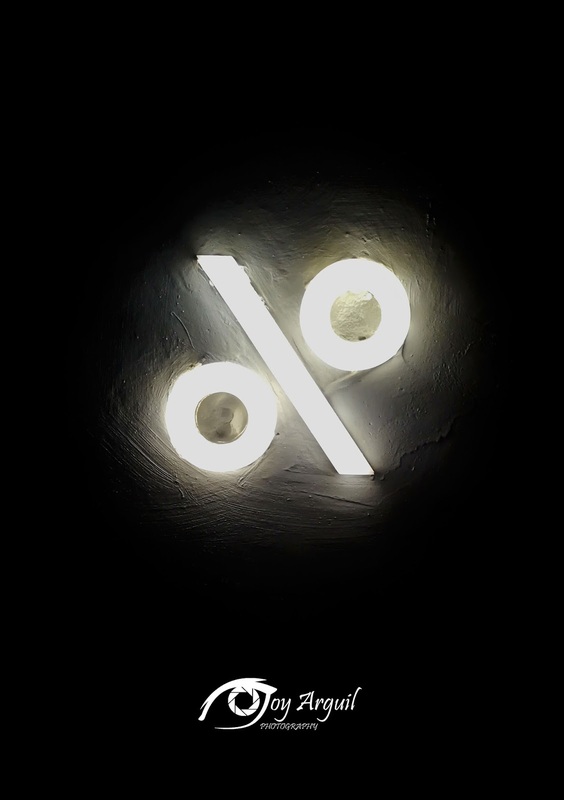 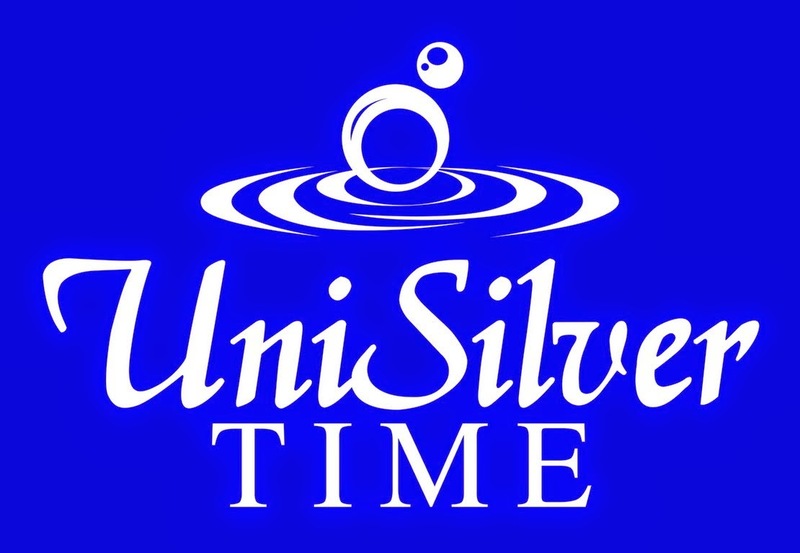 The store is open from 6AM to 10PM. It’s a must visit coffee shop.